Concept: Looking for a unique niche market to start an internet business? 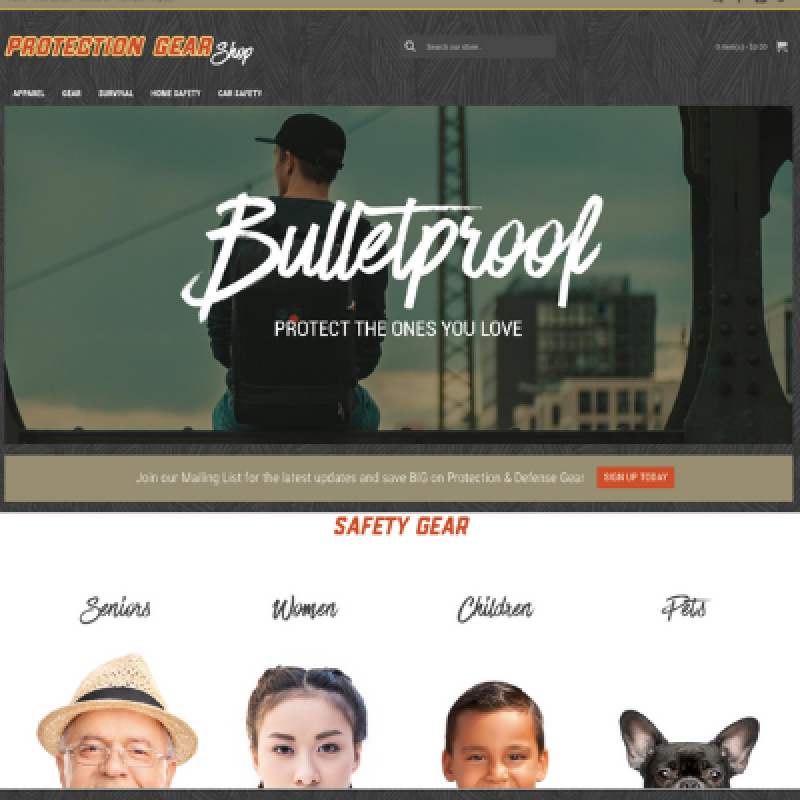 Then take a look at ProtectionGearShop.com - an online store where people can purchase quality gear to protect themselves and the ones they love. 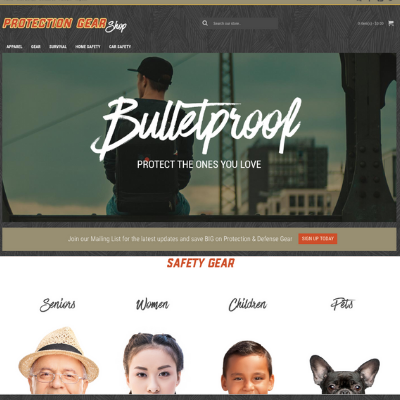 Online shoppers will have quick access to a variety of products including apparel, gear, survival, as well as, home and car safety all used for creating safer surroundings. Whether they need to protect and guard themselves from the elements, looking for anti-theft devices to protect their car and valuables, plus safeguards to protect their home and personal possessions they will find it at all new online business! As the owner of this website, you will be able to reach customers through the attached blog, newsletter and social media pages where you can share tips on the best ways to stay safe with protection gear. This ready-made internet business will be loaded with 300 drop ship products to get you started. Our team will select the first 100 and you will have the opportunity to select 200 products you would like to sell online. All the products featured are from drop ship vendors which means you are not required to hold any inventory. This will give you more flexibility when running your online business! Register or Log In to our website portal to view our current website pricing, as well as, learn how we can help you get started. When you're ready we invite you to schedule a FREE phone consult to discuss any questions you may have about starting an online business. 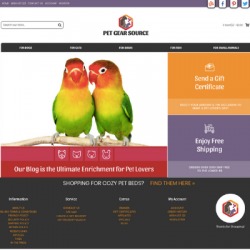 Let's work together as you become the owner of this exciting specialty online boutique! 2,000,000 home burglaries are reported each year in the United States. About 30 percent of all burglaries are through an open or unlocked window or door. Nearly 66 percent of all burglaries are residential break-ins. More than 160 million American adults (65.45%) are estimated to have either recently purchased survival gear or, interestingly, are already in possession of survival gear because they always keep them on hand.